Listen and learn! 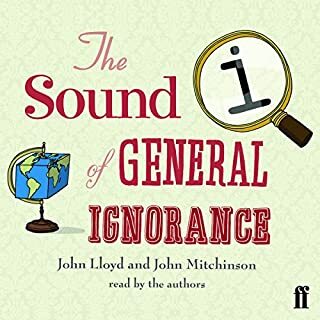 The Sound of General Ignorance brings you all the best bits of the number one bestseller The Book of General Ignorance in handy audio form. Allow yourself to wallow in the misconceptions, mistakes and misunderstandings in 'common knowledge'. Your newfound wisdom will help you to impress your friends, frustrate your enemies and win every argument. I originially quite disliked this but it improved. The format is simple: there isn't one. Instead, each of the panellists brings their own round for the others to play, meaning that each show is unique, untried, and unpredictable. In each episode, four top comedians will battle it out to see who gets to be champion. 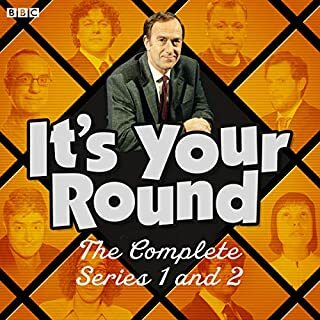 Angus Deayton is the host, valiantly trying to make sure everyone comes out of it with their reputations intact. 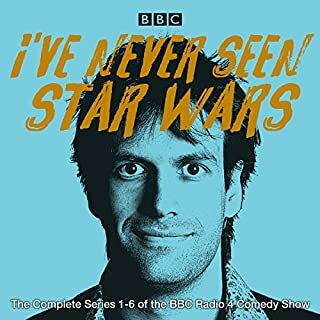 The panellists trying to beat each other at their own games include Miles Jupp, Sara Pascoe, Andy Parsons, Rebecca Front, Russell Kane, Josie Long, Tim Key, Micky Flanagan, Bridget Christie, Alan Davies, Roisin Conaty, Sandi Toksvig, Clive Anderson, Will Self, Gyles Brandreth and Alex Horne. 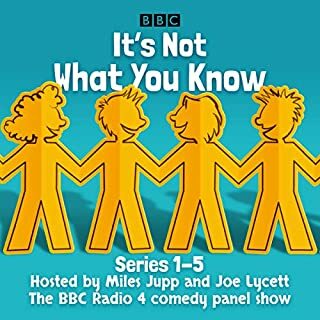 Perfect for Fans of the Podcast! 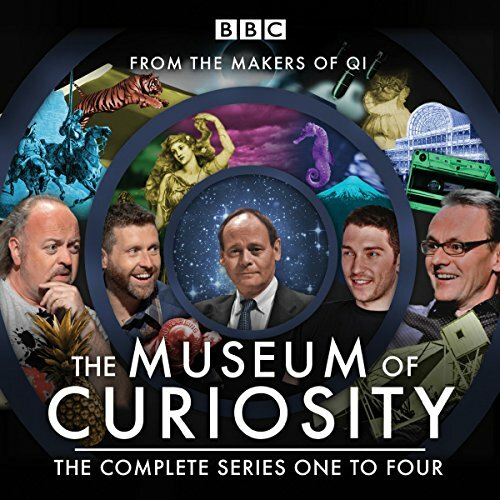 The Museum of Curiosity is BBC Radio 4's monumental comedy edifice, and the only one with gargoyles in the foyer. It allows nothing inside that doesn't make you scratch your head, stroke your chin or, at the very least, go 'hmm'. Fortunately, helping to fill its vacant plinths is a gathering of the world's most original minds. 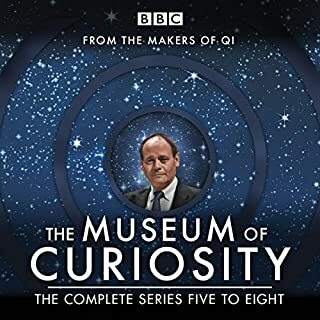 Among the guests bearing donations to the museum in these 25 episodes are Neil Gaiman, Sarah Millican, Clive James, Kate Adie, Sir Terry Pratchett, Ronni Ancona, Jon Ronson, Bettany Hughes, Ben Elton, Francesca Stavrakopoulou, Alain de Botton, Charlotte Uhlenbroek, Alistair Fothergill, Ruth Padel, Jonathan Miller, Lucie Green, Marcus du Sautoy, Sara Wheeler, Brian Eno, Shappi Khorsandi, John Hodgman, Chris Addison, Roger Law, Tim Minchin, Philip Pullman, Richard Wiseman, Victoria Finlay, Simon Singh, Jimmy Carr, Graham Linehan, Sarah Bakewell, Robin Ince, David Eagleman, Natalie Haynes, Brian Blessed, Alan Davies, Gareth Edwards, Martha Reeves, Harry Enfield, Helen Scales, Admiral Alan West and many more. 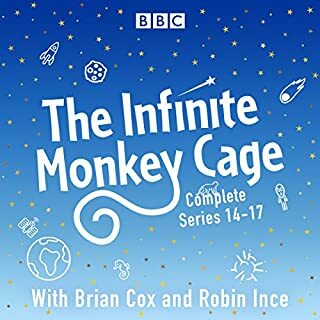 In addition to all the episodes from the first four series, a previously unbroadcast pilot episode, The Professor of Curiosity, is also included. Running time: 12 hours approx. 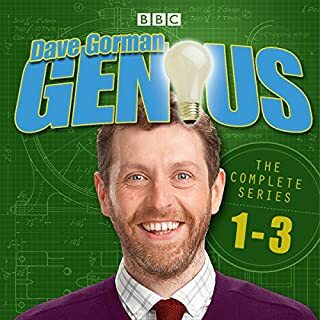 Audio updated as of August 2018.
normally I'm a huge fan of the QI team and the radio version of this is superb, however I can't recommend this version. Episodes just cut off in mid stream and without warning. After speaking to Audible tech support it appears to be a problem with the recording of this item. so I heartily recommend you don't buy this item until they fix this problem or you won't get a whole episode in the collection. The next episode starts before the previous episode has finished! 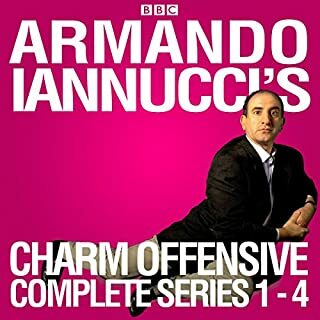 Takes the shine off a very enjoyable series. 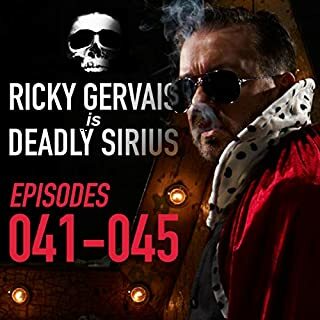 I really enjoy this radio programme but only came across it a couple of years ago so it is great to be able to go back and listen to the early episodes. However, as noted by other reviewers, the first two end mid-episode. 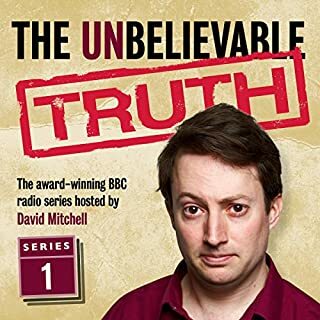 If it really is a problem with the original recording (and I don't believe that) then Audible should WARN PEOPLE in the audiobook description. If not, it should be updated so that we can download the complete audiobook we paid for. 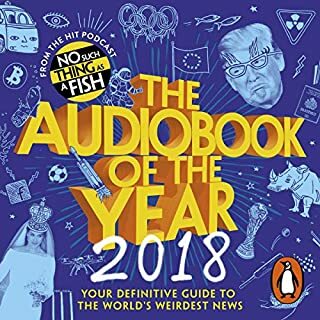 Don't let this put you off downloading the audiobook. At least you know to expect the abrupt end to several episodes. The programmes themselves are great fun. The first two episodes of the series end early. 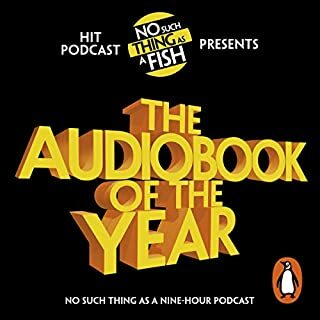 If this could be fixed, this is a perfect audiobook. Funny, interesting, makes me feel ten times cleverer. 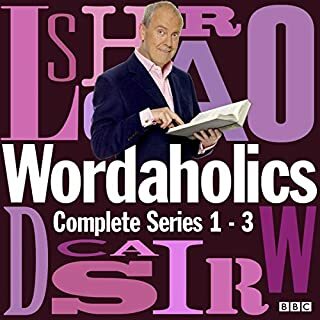 Is that a word??? Listened to 2 eps so far and each one cuts off mid-sentence. Funny but disappointing. Many chapters suddenly ends in mid-sentence. 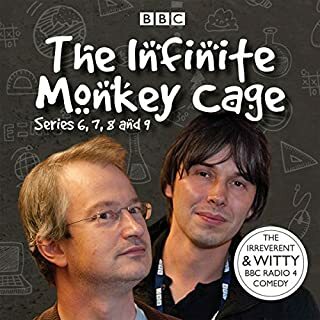 The host would ask an interesting question, Bill Bailey would begin to answer, and then after 4 words, the chapter ends. Lousy editing. Not really, the first two episodes don't work. Amazon have had months to fix it but haven't bothered. What does John Lloyd and full cast bring to the story that you wouldn’t experience if you had only read the book? There isn't a book, this is a stupid question. 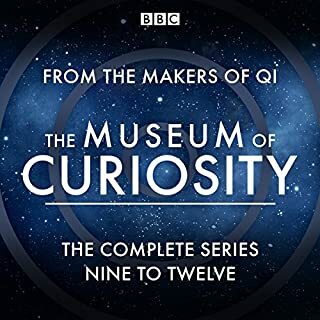 Was The Museum of Curiosity: Series 1-4 worth the listening time? Audible FIX IT! We pay for this stuff. Loved the show. Hate that each episode is INCOMPLETE. Hopefully an update is coming to fix this mess. not one episode is complete - the dolt who recorded then cut them short. needs fixing. Is it my copy or is this faulty ? Each track ends approximately 6 minuets into a 30 minuet program and then moves to the next program automatically. The show itself is entertaining and interesting. However, it is missing a few episodes. Frustrating, but still worth the money. Really unique and fun. Also, it helps people to appreciate life. Both fun and deep.